Did you know that this year Sue Ryder Wheatfields Hospice is 40 years old? We have been in the heart of Headingley for 40 years providing specialist palliative and end of life care to thousands of people across Leeds. 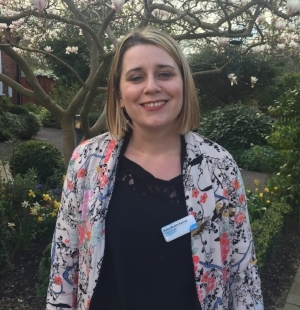 Whether we’re supporting people in the hospice in our 18 bed inpatient unit, their own homes or our day care services, our focus is on quality of life – giving every patient the care and support they need to spend the time they have left in the way they choose. We have respect for all beliefs, religions and cultures and tailor your care accordingly. We can offer a range of care services to support you and your loved ones whilst you are in our care. We offer 24 hour expert care, 365 days a year provided by a wide range of professionals including doctors, nurses, therapists, palliative care specialist consultants, social workers and spiritual support. We are housed in one of Headingley’s most impressive Grade ll listed manor houses set in our own leafy grounds. Formerly known as Wheatfield Lodge, the house is a splendid Italian villa style property built around 1855. The inside of the building is equally impressive with marble Ionic columns, wrought iron balustraded stairs, and decorated friezes. In 1855 Wheatfield Lodge was a family home. It became a regional seat of government in the Second World War and then afterwards was the base for the West Riding Squadron of the Royal Auxiliary Airforce. It then became a special school and Leeds City Council Training Centre for people with mental and learning difficulties before being taken over by the Sue Ryder Foundation in 1977. It opened as a hospice in 1978 and is now a comfortable home for all our activities. We are a charity and all the services provided at Sue Ryder Wheatfields Hospice are completely free to patients and their loved ones, but we can only continue to do this thanks to the generosity of our supporters. We also have a fabulous on-site charity shop that sells fantastic good quality items from clothing to bric-a-brac, bags and shoes as well as selling new goods. And it also features a lovely café where you can just relax while grabbing a delicious cup of coffee or tea. Or you can also pop in for a visit and look out for a Wheatfields Rock of Kindness. We have a number of beautiful painted rocks hidden in our gardens, find one, take a photo and share it on Facebook, and then hide it again so someone else can find it! Read more about the history in The Wheatfields Story 1854-2002, from Family Home to Care Centre by Ronald Nelson Redman, published by Great Northern Books Ltd in 2002.